More than 1,500 fans were on hand Saturday to watch Chicago best Wash U 76–67 in a grinding physical affair. The win capped a perfect 25–0 regular season, an unprecedented event in U of C basketball history. More than 1,500 fans were on hand Saturday to watch Chicago best Wash U 76–67 in a grinding physical affair. The win capped a perfect 25–0 regular season, an unprecedented event in U of C basketball history. Players and coaching staff downplayed the importance of the accomplishment, saying that they were excited before immediately returning to the one-game-at-a-time motto that they’ve espoused all year. Perhaps more impressive, the win was Chicago’s 43rd straight regular season win, dating back to last year. The Maroons have lost just once since December 13th, 2011, in the Elite Eight to Wash U. As expected, it was a physical affair between the two heated rivals. Wash U committed 25 fouls in the contest, and Chicago wasn’t far behind, with 22. The two teams shot a combined 64 free throws. “It’s always pretty physical between us and Wash,” first-year Hannah Ballard said. 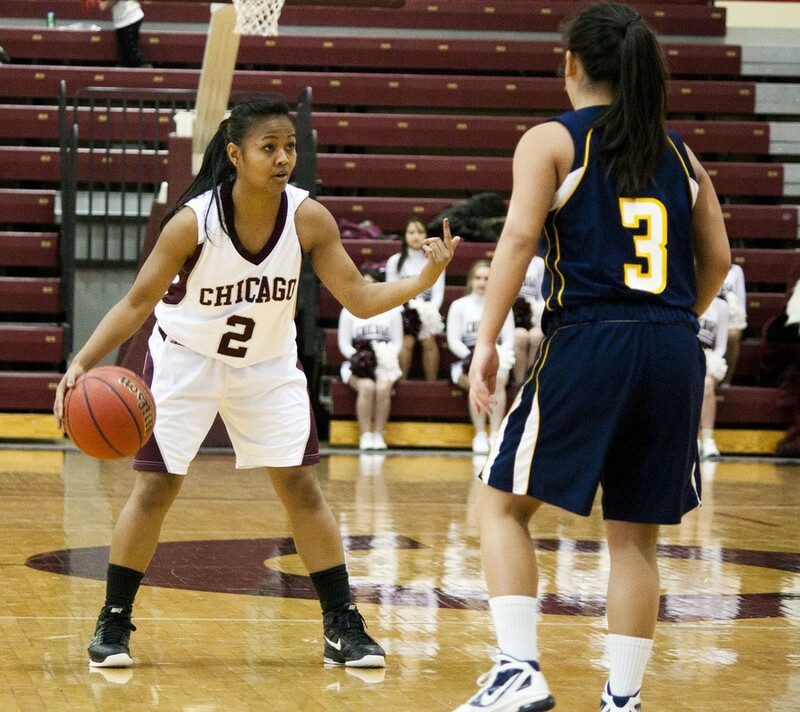 The Maroons fell behind early, down 10–4 after a jumper from star Wash U guard Dani Hoover. They quickly righted the ship, and a three-pointer from Ballard gave Chicago their first lead of the game with about ten minutes remaining in the first half. Chicago stretched the lead on the back of their free throws, as frequent foul calls quickly forced both teams into the bonus. The Maroons made eight of their 11 first-half free throws, and ultimately sunk 31–37 for the game—an 84% clip. At the end of the first half, Chicago held a 13-point lead. A team of Wash U’s caliber was not about to go away quietly. The Bears charged out of the gates in the second half with a 9–1 run to pull back within four. That would be as close as the teams would get, though, as Chicago responded to the Wash U assault, as they have all season to all different teams. The game seesawed for the rest of the half before Chicago sealed the deal with yet more free throws, hitting six of eight down the stretch to put the lead at 10 with just 45 seconds to go. They would go on to win by nine. The win over the Bears sends Chicago into the postseason with even more momentum than they had last year, when they were coming off the heels of a 18-game winning streak. The DIII tournament bracket was revealed yesterday, and Chicago was awarded home-court advantage for the first two rounds. Unlike the DI bracket, the DIII bracket does not have official seeds, so although Chicago is the heavy favorite in the region, they are not technically a number one seed. The tournament is also more regionally oriented, with certain regions featuring stronger teams than others. Chicago’s quarter of the bracket features #5 Calvin, #12 UW Stevens-Point, #13 St. Thomas, #15 Franklin, #16 UW-Eau Claire, and #25 Johns Hopkins. Wash U finds itself on the other end of the bracket, so Chicago would not play the Bears until the Final Four.